We would appreciate the opportunity to have call or a coffee with you where we can answer any questions you may have about the Entrepreneurs Hub and the process. However here some answers to the more frequent questions but please feel free to call us any time on 0845 0678 678. There is no barrier to size – our team have significant experience typically working at senior manager and director level within family businesses, SME’s, mid market and public companies. Typically our clients are likely to sell somewhere between 2 and 20 million. Our proven process for either preparing a business for growth or for exit can be applied to all sectors. We work very closely with our clients, get under the skin of the business so that we understand the business in detail, which then positions us well to market the business for sale. Our teams have experience across a wide breadth of industries, including but not limited to Consultancy Services, Manufacturing, Telecoms, Media, Technology, Construction, Engineering, Retail, Recruitment, Leisure, Online Businesses, Electronics, Service Sectors, Distribution and Logistics. What about some free advice? We believe one of the most important factors when selecting an adviser is about how well do you relate to them and their team and do you believe in their process. We normally start with an initial no obligation call to understand your requirements in a little more detail and share with you some of our knowledge and experience. If we are all comfortable there is some synergy we would then suggest a no obligation confidential meeting at one of our bases in in Basingstoke, London, Birmingham or Manchester alternatively we can come to you at a venue of your choice. 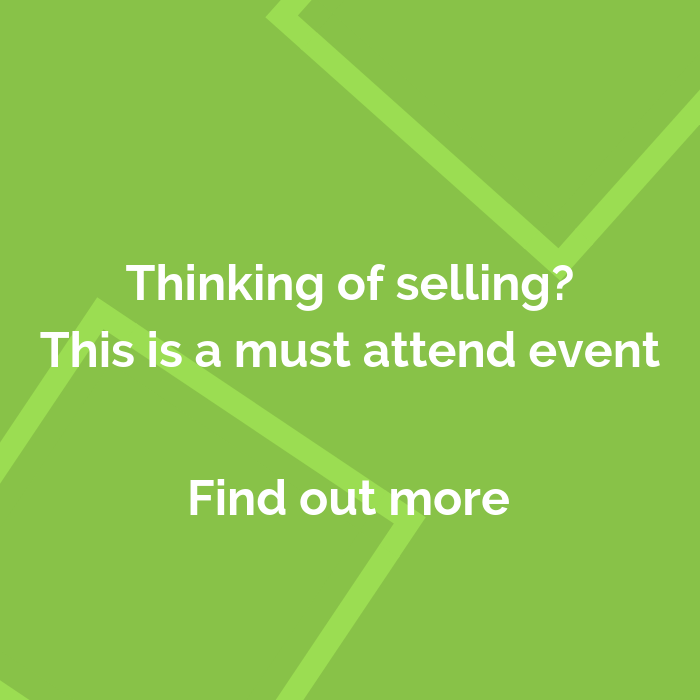 During that meeting we can review your business for saleability and provide a guide valuation on how much your business is likely to sell for. What’s the process of selling a business? Many companies fail to prepare properly before marketing their business for sale. Our approach ensures that the business is well prepared before we proactively start marketing the business. The process is very logical but there are a number of steps that you need to go through and missing any of the key steps can lead to a negative outcome. There are a number of know factors that will increase the value of a business and we will work with you on these specific areas. Preparation is key for a positive outcome along with a clear and detailed research strategy to identify potential acquirers. Entrepreneurs Hub manage the complete process including the preparation of all the marketing material which must present the business in a favourable light and sell the future potential. Using the correctly skilled individual at each stage of the process is key, including experienced Project/Deal Leader, Financial Analyst, Research Analysts, Approach Consultant and supporting back office team. Each and every Entrepreneurs Hub client is allocated a team of experienced specialist that will work with you throughout the life of the engagement providing critical expertise at each and every step of the way. The process is very logical and therefore if you understand the process you might well think you could “do it yourself”. For many reasons Entrepreneurs Hub recommend against it. One of the main fundamental reason is that you need to focus on the business and continue to drive it in the right direction. It is essential that the business continues to perform well or performance improves during the process. In addition, it will, at times become very emotional and you will need someone to stand in the gap between yourself and the potential acquirer. There will be areas of the business discussed and challenged and you need support and guidance from an experienced team who understand what is important and what’s not. What you should take note of that’s likely to have an impact on the sale and what’s not. You may also continue to work in the business for a period of time post completion and it’s therefore important you maintain a good working relationship. I have already been approached, what should I do? If you have been approached it great news, but we would advise you to air some serious caution. In our experience these type of approaches can often protract and the process can become very stressful and pressurised. You may rush into the process when your company is not prepared or positioned for sale. The only thing the buyer will focus on will be your statutory and management accounts which is not what you want, especially if you want to maximise value. If you only have one buyer in the game, as shareholders, you are very vulnerable. Your buyer will know they are in the strongest negotiation position and in control of the process. You can spend months pursuing an opportunity only to find it goes nowhere. Our recommendation is to add them to list of potential acquirers and treat them in the same way as the other potential acquirers. If they are serious about buying your business this will soon become apparent and having other interested parties will only have a positive impact on the value and terms you are likely to achieve. This client had an approach and chose to engage the Entrepreneurs Team to handle it. Just a quick note to say many thanks for all your help and advice over the past year. I have no doubt partnering with you guys added significant value to the business and helped us achieve a wonderful result yesterday. Please also pass on our thanks and appreciation to Steve, Trisha, Tim and the rest of your team. If you have had an approach from an acquirer please do talk to us. It really depends on complexity and readiness of business but on average we would say the entire process can take in the region of 12 months. In some cases it can take a little less time and in other cases a little longer. In parallel with preparing the business for sale Entrepreneurs Hub will carry out detailed research and identify a list of potential acquirers which you will have early sight of and approval prior to any approach. Once the business is prepared for sale – this can be the biggest variable – we are in a position to start marketing it for sale. You are likely to start seeing initial interest within a few months and following further qualification this may lead onto face to face meeting within a further month or two. Once the initial meetings have taken place – arranged an facilitated by Entrepreneurs Hub – and we have explored the synergies of the two organisations coming together you will start to receive initial offers. At some point you will need to make a decision whether or not to accept an offer and it’s at this stage you enter into an exclusivity period where the acquirer carries out their due diligence on the business. Again, depending on the complexity of the business the due diligence period can vary, but typically takes anywhere between 2 – 3 months to complete. Upon completion you will have sold you company. You will no doubt of have heard the phrase, “your business is worth as much as someone is prepared to pay for it”, so why do so many people put a price on their business when marketing it for sale. Different companies will not only value your business using different valuation methods, the perceived value of your business will vary from one company to another. We don’t put a price on it – Our process ensures that we present the opportunity with all of the necessary information that will enable a potential acquirer to value your business using their own valuation method and present and offer based upon what it’s worth to them. 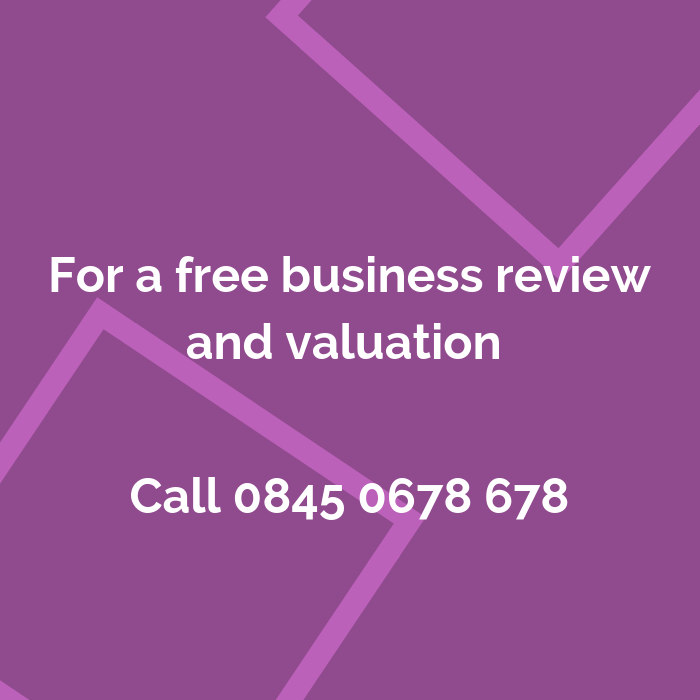 Even though we don’t put a price tag on a business when we take it to market it’s still a good exercise to get a guide valuation range of where your offers might come in. That way you can decide before you start marketing the business for sale and incurring costs whether or not you are likely to achieve your walk away number. As part of our process we will research the industry sector, then review your financials and carry out a desktop off market valuation which provides you with a guide range of valuations and confidence that you are entering the process with a high degree of confidence that we will achieve your desired aspirations. We do not want to be taking a business to market unless we are confident there is a market for the business and that we believe we can achieve our clients desired goal. This is part of our intellectual property and the keys to our success so we are not going to say too much here. However we believe this is the most important part of the process at the Entrepreneurs Hub we carry out comprehensive research both in the UK and Overseas to identify potential acquirers. We have access to millions of companies globally. If you choose to meet with us we will tell you more. We have a dedicated researcher analysts who creates a potential buyer profile for our clients business and then they research ideal acquirers that fit that profile and present the names for our client to approve. Entrepreneurs Hub take confidentiality very seriously and it is often one of the first questions we are asked. Throughout the process confidentiality remains high on the agenda and is taken into account at every stage. We are extremely guarded about releasing any information and all approaches are initially made anonymously. We agree with our clients the best forms of communication, whether that’s email, telephone or written correspondence to protect internal confidentiality. Our clients have sight of every document and approve as necessary. Prospective acquirers are approved by our client before any approach and sign a Non-Disclosure Agreement (NDA) before a name or further information is shared. If you would like us to complete a non-disclosure before talking in detail with you please let us know and we will send you one across. We like to work with companies that we have a high degree of confidence that we can sell before we engage. We have a Discovery Day Promise. This is essentially the project kick off meeting where we spend a day with you reviewing the business and getting under the skin of the business. Our promise is, if you are in any way dissatisfied by the end of the Discovery Day, the process can be paused. You can terminate the contract at this point only and you will only be expected to pay expenses incurred for the day – not our salaries. The other benefit you will receive by working with us is a stronger, more robust business. As part of the preparatory work we will help you strengthen the business. Why do I need to prepare for exit? Many business fail to sell in the first instance not because they are not a good business, but because they are not properly prepared. By preparing the business before marketing it for sale we can help you strengthen the business by reducing any perceived risks, thus making it more attractive and potentially increasing the price you are likely to achieve. This will help with the sales and negotiation process and potentially attract more interested parties. Get an adviser like the Entrepreneurs Hub involved as early as possible to assist you in the preparation process to ensure you focus on the right areas that will increase value and positively impact the process. We try to minimise the impact on you so that you can concentrate on running the business and driving it forward. In the first few months you will need to allocate a couple of days. Initially a few hours to complete our Pre-Diagnostic Questionnaire which starts to gather useful information on the business and then a full day – our Discovery Day (project kick off) where our team start getting under the skin of the business to truly understand the detail. Beyond this we recommend you allocate half a day a month which should provide you with enough time to process any requests and enable us to keep you informed of progress. At the back end of the process, once we have interested parties you will be required to attend face to face exploratory meetings with the prospective acquirers. Depending on the level of interest generated will determine how much time you will need to allocate to the process, however, we will always try to be as efficient as possible with diaries. We recognise you have a business to run. The majority of our fees are based upon the successful completion of a sale, which means our interests are aligned, you win, we win. We receive a success fee when your business is sold and our fees are paid when you are paid. You may have seen we have numerous testimonials on our website which should provide you with a flavour for the type of company we are and demonstrate our core values – integrity – approachability – results – driven business. But YES of course you can talk to some of our clients. Preparation is key to an eventual exit from your business. The earlier you start preparing the business, in terms of financial and general reporting, documentation, accreditations, contracts and much more the smoother the process will be. As part of our preparation process the business will become more robust and then when you are ready to exit or in the event that you have an unsolicited approach you can be confident you have done everything you need to maximise the value of the business. Take a look at your business and understand why a potential acquirer might buy you. What is it that makes you a good acquisition target for them, is it your brand, client base, IP, products or services, skilled team, your niche offering or something else. If you identify both your strengths and weaknesses you then have time to make changes that will have a positive impact on the business and maximise the potential value you will achieve when you sell. If you are like most business owners you will be concerned with your staff and how they will be looked after following your departure. It’s only natural after all you may have been working with some of them for 30 – 40 years or more and they are likely to have become part of the family. In many cases rather than causing concern for your staff, becoming part of another organisation and in many cases a larger organisation, it can create additional opportunities to further develop their career. With our process you will have full control over who you end up selling the business to. As part of the process you will meet the eventual owners of your business and often it may come down to who you feel most comfortable with. They may have similar values to yourself or will have provided you with sufficient confidence that they value your staff and will look after them moving forward. Who is most likely to acquire my business? Unfortunately, we are unable to see into the future but what we can do is influence the outcome. As part of our process we will carry out comprehensive research to identify a list of potential acquirers that fit the correct profile to acquire your company. We will pro-actively approach them presenting the acquisition opportunity. There will be the obvious companies on the list, some may be from your industry, may be a very similar organisation to yourself, but in our experience these companies often don ‘t acquire the business. It is important the obvious companies are on the list, however, our research looks outside of the box and we spread our net long and wide and on most occasions our client was unaware of the acquiring company or never thought they would be interested in them. I am interested in selling my company what next? Selling a business for most owners is often the most valuable asset they will ever get to sell our counsel is don’t be drawn by the sparkle, if you think the value someone places on your business is too good to be true then talk to us. We will be honest with you, not just tell you what you want to hear, but we will also tell you what you need to hear. Have a no obligation call or meeting with an Entrepreneurs Hub director call or email us. We would love to help you explore the journey but whatever you decide we wish you the very best in achieving your goals and aspirations.